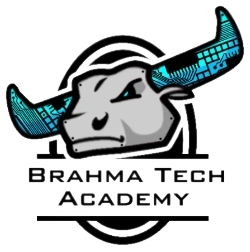 Welcome to the Brahma Tech Academy Page! Brahma Tech is a four year curriculum-driven academic diploma program with an emphasis on the relevance and application of STEM - science, technology, engineering, and mathematics in today's workplace. Federal and state officials frequently highlight the importance of STEM education to the nation's economic well-being. "The Department of Defense hires more scientists and engineers, and sponsors more research and development projects than any other federal employer. More than 35,000 scientists and engineers work in the department’s 67 national laboratories on projects that require them to be U.S. citizens and often have high-level security clearances that take months to obtain. More than half of the existing scientists and engineers are over the age of 45 and will likely retire by 2020." Our goal is to address the need for a stronger and more specific STEM education by equipping our students with a competent set of skills in these critical fields. The Brahma Tech curriculum, spanning four years of high school, consists of an entry-level course called Computer Systems, followed by designated courses in one of four strands of the student's choice and concluding with a 150-hour internship in an appropriate field. Students who successfully complete the program will receive a STEM diploma and have the honor of wearing the academy stole at graduation.